The Bucky & Sully Show weekdays from 9am-Noon on The Fan. 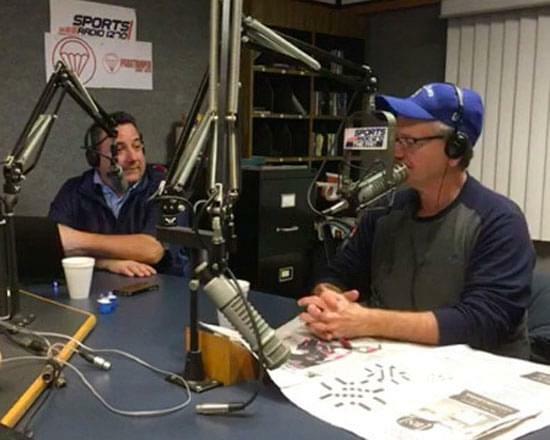 Veteran Buffalo sports columnists Bucky Gleason and Jerry Sullivan are bringing their unique takes on the Buffalo sports stories you care most about to Sports Radio 1270 The Fan! The Bucky & Sully Show airs weekday mornings from 9:00am to 12:00pm starting Tuesday September 4th. You can hear The Bucky & Sully Show on 1270 AM radio, through the live stream here on SportsRadio1270.com or on our App, which you can download for free in the App Store (do a search for “1270 The Fan”).